Adobe’s PDF is a universally accepted file format and is generally preferred as it supports a number of applications. It has the capability to automatically adapt to a smaller size without misplacing the content. This potent act makes it a perfect model of data communication format on the Internet. Some PDF files come with restrictions that limit our scope of work. So here you will know ‘how to remove password security from PDF files’. Nowadays PDF’s are secured by using a password to prevent any changes from being made to the original document. PDF file provides a range of features for users, especially in the prospect of protection of documents. It’s password permission feature that is used to restrict other people from modifying your official document or share your documents online. The password security feature of PDF certainly makes the situation difficult for some professionals who require complete access to the files. Now, the question that comes to a user’s mind is how to remove password security from PDF files? Let’s discuss the password security feature in detail so that accordingly we can opt for a better solution to remove PDF protection. PDFs that are restricted by passwords cannot be edited. One can’t edit, copy the content of a password protected PDF file. To secure your PDF documents, you can use permission password to control your authority on PDF file. PDF provides the option of exercising the authority by passwords: Owner password and User password. User Password: It is mainly known as a document opening password. It is used for preventing access from opening the PDF document by an unauthorized user. Owner Password: It is also called as the master password. This kind of password is applied by the owner of the PDFs, to protect there PDFs documents from being edited, copied, and printed. If you forget your PDF file password that you have set on a PDF file, there is no way of recovering it. So some people prefer to write it down and keep it in a safe place. Or best way is to remove the password from PDFs So that in future you don’t face any such problem. Below you will get few methods to remove password security from PDFs. 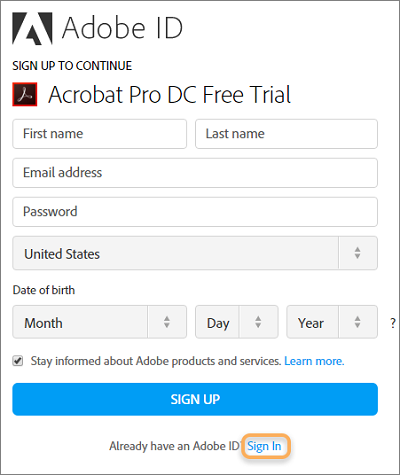 If you are using Acrobat Pro, permissions password could be removed instantly. For this, you must have the User Password applied on the document or you must be the originator of the PDF file. The user gains access to all the restricted features like copying, editing or even modifying the contents of documents. But Acrobat Pro is too expensive for the users to remove password security from PDF Files and this will not remove owner level security from PDF if you have no authority to edit secured PDF. With your Google account, there is a feature called Google Drive which allows you to unlock the uploaded PDF file, convert its text, and save it as a text document. It can unlock only those PDF files which are secured by owner level passwords such as enable print PDF options. However, the original formatting of the document will be lost by this method. Moreover; Google Drive has a restriction of uploading files, i.e. 2 MB per file. So, we cannot upload very large PDF files. Most of the online solutions are bulky. Hence, consume a lot of bandwidth during the process of removing passwords from PDF. The online free application stores the uploaded PDF in their own database. So, there is a probability that any confidential information related to PDF files can get leaked. Some online PDF password removal tool asks users for their email-id for sending the unlocked file on, however, it is later on shared or further used for spamming (in most cases). Considering all the above scenarios, a user has to take help of third party solution in order to access the restricted features of PDF document. Another benefit of external applications is that they are easy to use unlike the online services that require you to navigate between pages. 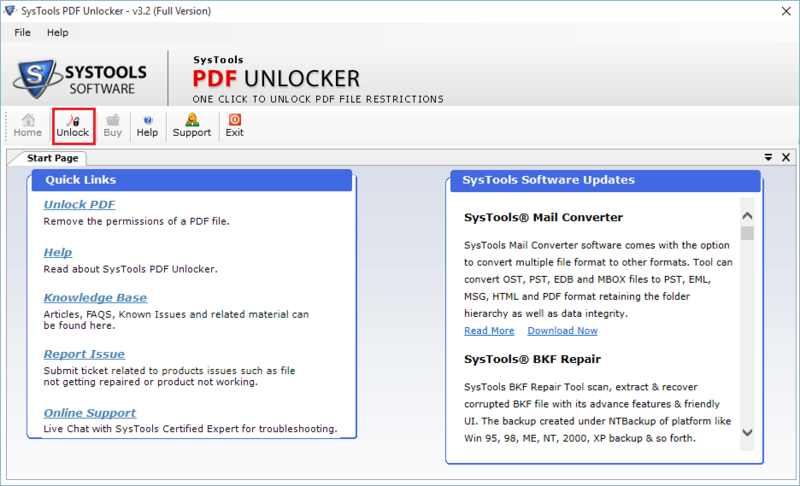 The PDF Unlocker Tool provides a competent solution for discovering how to remove password security from PDF files at an economical price. 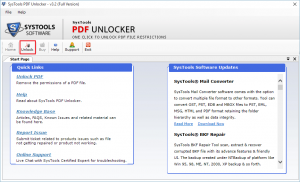 It can unlock PDF files restricted with Owner Password and the user gets complete access to restricted features like copying, editing, extracting and printing of PDF documents easily. Not only this, if the user knows the correct PDF password, can easily remove it using this utility.